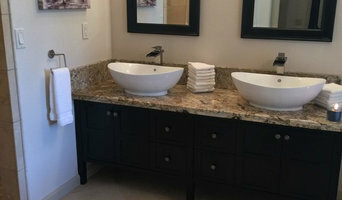 Five Star Restoration and Construction Inc.
Five Star Restoration & Construction, a full service General Contractor, is a Leader in Fire, Water, Smoke, Mold and Storm Disaster Recovery for Commercial & Residential properties, serving Northern California since 1989. Five Star’s 24-Hour Emergency Service includes; One Hour Response Time, Water Extraction, Structural Drying, Removal/clean-up of Sewage, Carpet, Rug and Upholstery Cleaning, Mold Containment, Remediation & Abatement, Sanitation & Disinfecting, Home Content & Garment Restoration, Safe Storage in our 19,000 sq. ft. facility, Ozone Deodorization, Electronics Restoration, Bio-Hazard Containment, Dehumidification, and Emergency Board-ups. You can count on Five Star’s certified, licensed professionals for peace of mind when disaster strikes. 24/7. Since 1989, Five Star Restoration has specialized in providing 24-hour emergency service for water, smoke and fire damage restoration – as well as being experienced in complete reconstruction for residential and commercial properties. Five Star can handle any job from start to finish – large or small. 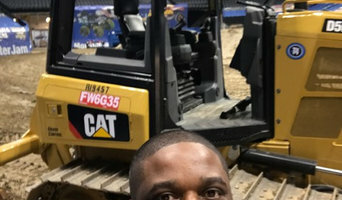 Our technicians are trained, experienced and nationally certified, continually training in the most current recovery techniques. Brenda Gallion and Aaron Provencal are the owners of Five Star Restoration & Construction and this year marks Five Star’s 25th year in business. The exceptional team at Five Star Restoration has been helping people restore their homes from fire, smoke, water and mold damage since 1989. Five Star Restoration has earned an excellent reputation over the years, and you can count on our clean-cut professional team to treat our customers with dignity and respect. To our past customers, we “Thank You” for your patronage and to all of our new customers, we are eager to have the opportunity to earn your confidence. You can depend on Five Star Restoration to provide fast response time, consistent quality and cost effective service. Conveniently located in Gold River, CA. we service the greater Sacramento area of Placer, El Dorado, Sacramento, Solano, San Joaquin, Sutter, Yolo, Yuba, and Amador Counties. We have numerous letters from happy customers as well as a huge lists of references. Hi there! We love the ability to preserve, serve and build using reclaimed wood. REWOOD champions the use of weathered wood from old exterior building products into many services and products . 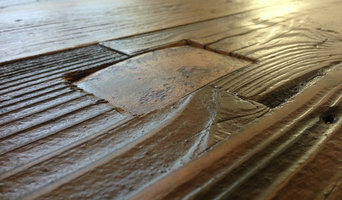 The reclaimed world is full of wood that is in different "cured" states and has been a hardship for us builders. Twisting, cracking, expansion and contraction are a few common problems that woodworkers share in the planning of builds and choosing the materials to use. The reclaimed circuit is all over the place selling problem wood (not the woods fault). This is for many reasons that we can trace to variables of exposure. The origin of the wood i.e.. location, amount of time, water and sun are huge factors to the consistency of performance/availability. We practice a sustainable approach which roots in the belief that "All wood is created equal and together, we are the story". Our approach allows sustainable availability and consistency with the common woods used in our territory. We test and only select wood that has been through more than an average home can throw at it and recycle the rest to other uses. This means final products that are more durable and less active because they were "designed by nature". We are here to hand select and restore wood for the use in accent flooring, walls, ceilings, barn doors, floating shelving and shutters to name a few. True "Green" is a lot of brown mixed with love. We understand that not all people want to experience this "brown" part so we are ready to prepare wood up to the point where you want or create and service to the finish. At a personal level, I was born into a flooring family (5 generations strong now in California) and I have been building floors from scratch since I can remember. These problems in the industry with availability ( discontinued products) and performance needed a solution and that is how REWOOD started. This woodworking knowledge continues on through the practice of "responsible purpose" to an industry I love. Thank you to the REWOOD staff and clients for all the support to date. We are uploading to Houzz recently and will continue to. Thank you from the REWOOD family and its advocates for supporting responsible and bespoke woodworking! Uzoma Okoro is an environmental specialist located in the Bay Area and the owner of Eco-Alpha. Hepa Air Scrubber Rentals of Tucson AZ & Red Sky Rentals provide comprehensive equipment rental solutions for all of your immediate disaster, water damage and fire restoration needs nationwide. Our portable air scrubbers are ideal for homeowners and contractors dealing with the effects of fire, smoke or water damage. We can quickly provide the disaster cleanup and remediation equipment you need. 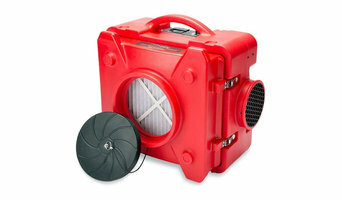 Visit <a rel="nofollow" target="_blank" href="http://www.HepaAirScrubber.com">http://www.HepaAirScrubber.com</a> or call 800-391-3037 for lowest price and cost for Elk Grove CA Air Scrubber Rentals today! Red Sky Rentals provides comprehensive equipment rental solutions for all of your immediate disaster, water damage and fire restoration needs nationwide. Our portable air scrubbers are ideal for homeowners and contractors dealing with the effects of fire, smoke or water damage. We can quickly provide the disaster cleanup and remediation equipment you need. We provide support for www.roku.com/link account activation, Enter Roku code as well as setting up installation of Roku player. We also provide help for all Roku issues. Visit us at: <a rel="nofollow" target="_blank" href="https://rokucomlinkhelp.com">https://rokucomlinkhelp.com</a> for the best Roku activation support and Get complete guidelines for setting up and fixing Roku problems. Hill Country Pest Solutions is proud to be the Residential and Commercial Pest Control Company of choice for home and business owners in Sacramento and Placer Counties, California. We offer thorough pest inspections and expert insect control targeting ants, spiders, cockroaches, fleas, ticks, spiders, occasional invaders like crickets, silverfish and earwigs as well as stinging insects like bees and wasps. We also offer successful rodent control. Hill Country Pest Solutions are licensed and insured and ready to serve you today! We are a locally, family owned and operated business which means little to no turn-over of employees and no new faces or strangers knocking on your door every month. If you are in need of pest control services, just call and ask for Howard. At Hill Country Pest Solutions, we understand how unsettling and unnerving the discovery of a pest infestation can be. No one wants to face the grim reality of having rats, cockroaches or ants running around inside their walls, kitchen or anywhere they consider to be home or work. Ignoring the problem will not make it go away, and this is why Hill Country Pest Solutions is dedicated to offering as much information about pests as possible, so that you know what you are up against and can relax, knowing that we have a solution to your unfortunate pest control problem. We offer green pest control services designed to provide a pest free environment using little to no poisons. Water Mold & Fire is who the people of Sacramento turn to when their home or business needs water damage restoration, mold removal, or fire damage restoration services. Our company is standing by 24 hours a day, 7 days a week, 365 days a year to make sure we are available when you need us most. These problems often happen when least expected, so it is important to have immediate response available to avoid even bigger problems down the road. So if you are currently experiencing these types of issues in or around Sacramento at your home or business, give us a call. Woodward Drilling Company, Inc. is a minority woman owned, California-based company that specializes in Water well, Environmental and Geotechnical Drilling. We have been in business for over 23 years. 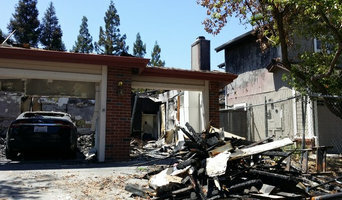 Emergency Water & Fire Restoration Inc is a damage restoration contractor serving the Sacramento, CA area. Services include Water Damage Restoration, Emergency Water Removal, Dry Out Services, Burst Pipes, Sewage Cleanup, Flood Damage, Disaster Cleanup, Fire Damage Restoration, Smoke Damage Restoration, Mold Removal, Air Duct Cleaning and Trauma Scene Cleanup. SERVPRO of North Sacramento understands the stress and worry that comes with a fire or water damage and the disruption it causes your life and home or business. Our goal is to help minimize the interruption to your life and quickly make it "Like it never even happened." SERVPRO of North Sacramento specializes in the cleanup and restoration of residential and commercial property after a fire, smoke or water damage. SERVPRO of North Sacramento can also mitigate mold and mildew from your home or business. Our staff is highly trained in property damage restoration. From initial and ongoing training at SERVPRO’s corporate training facility to regular IICRC-industry certification, rest assured our staff is equipped with the knowledge to restore your property. With a nationwide system of qualified franchises, no damage is too large or too small for SERVPRO of North Sacramento. If you would like to schedule service for your home or business, please call today! Serving you since 1967, SERVPRO is the cleaning and restoration brand you know and trust. As a trusted leader in the restoration industry, SERVPRO of Carmichael has highly trained technicians that are dedicated to responding faster to any size disaster. We provide 24-hour emergency service and have the training and expertise to handle your restoration and cleaning needs. What do environmental and restoration professionals in Sacramento, CA do? Specialists and consultants can be hired to carry out large-scale building restoration projects, or to restore period features such as interior trims and mouldings. They will first inspect and assess your home, and will provide restoration advice based on the extent of damage. It’s important to note that some heritage-listed buildings may have lead paint on walls, doors, windows and windowsills. Lead that gets disturbed by sanding, cutting or replacing old windows can create hazardous lead dust. If your California home was built before 1978, you’ll want to find restoration professionals with experience and training in lead-safe procedures. Homes that have water damage, mould, or which have been affected by a natural disaster will need specialty restoration experts. They will secure your home and remove any dangerous contents before beginning repair work. Should you suspect mould in your house, a qualified professional will do a full visual inspection and perform air/surface sampling to confirm its presence before safely removing the mould. Special training, equipment and licensing are required. Make sure you are working with California certified, licensed and insured professionals who guarantee and warranty their restoration work. Find environmental and restoration professionals in Sacramento, CA on Houzz. Search qualified professionals in water damage restoration, fire damage repair, mould removal, and heritage renovations. Read through professional profiles for information on qualifications, experience and services provided.